Easily cleans wheel discs from contaminations and brightens them. Protects against corrosion. Applied for cleaning of chrome-plated wheel discs. Quickly cleans discs from hard-to-remove contaminations, which are caused by brake operation. Creates dirt-repellent and anticorrosion protective film. 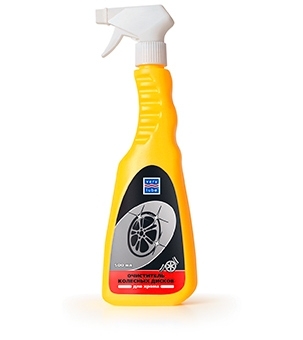 Spray onto the surface of cold wheel discs, which is to be cleaned, wash with large amount of water in 2-3 minutes. After the cleaning, it is recommended to treat tire casings with VERYLUBE Conditioner of rubber and plastic.